Today’s golf tournament outing committees are looking for the ideal golf tournament raffle prizes and outing gifts to put in their goody bags. Microfiber Greens Towels are perfect because golfers enjoy having a convenient microfiber golf towel to keep their equipment in peak playing condition. Greens Towels are a proven successful prize for golf outing gifts. Perfect Size Golf Towel – Many golf towels are just too big. 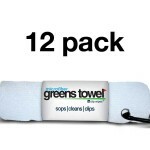 Greens Towel is the perfect size to keep handy in your back pocket so it’s there when you need it. 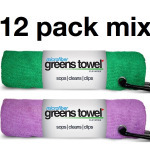 Super absorbent – Super-absorbent microfiber that absorbs up to 7 times it’s weight in water, Greens Towel removes dirt like a magnet keeping your grooves clean to help you play your best. Never miss a shot because of dirty golf equipment. 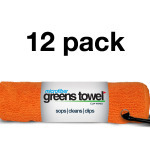 Easy-to-Use – Greens Towel comes with a convenient carabiner clip to quickly attach to your golf bag. 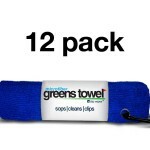 Under $5.00 per towel – It’s the most affordable microfiber golf towel. Greens Towels are the ideal golf tournament fundraiser gift below $5.00 – Now available in a handy 12 Pack with Free Shipping! Greenstowel.com is your headquarters for golf tournament gifts and golf outing prizes. 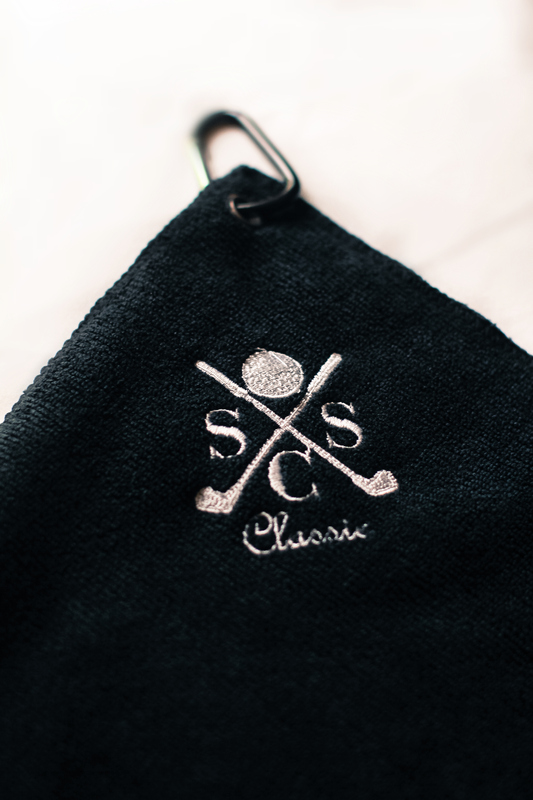 One of our company missions is to help Charitable Golf Tournaments with their fundraising gifts. 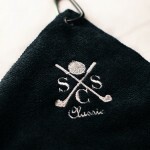 In fact, we have assisted hundreds of Charitable Golf Outings with the perfect golf goody bag gift idea for their events. Over the years we have helped church fundraisers, outings for schools and athletics programs, military veterans and wounded warriors events, golf tournaments for various disease-related causes, homeless and children-related tournaments, and many other awesome charitable fundraiser causes. Please go to our testimonials and read our thank you letters. Our associates has served on committees of many Golf Fundraisers so we understand the complexities of putting on a memorable and profitable golf tournament. We have also been in the golf merchandise trade for over 25 years and have great resources and contacts. It is a proper balance from these two perspectives that has allowed us to assist over 500 organizations with their golf outing gifts. We’d like to lend a hand to your golf tournament as well, but we also realize you need to raise as much as possible for your important cause. You can count on us to be your trusted source for ideal and affordable golf outing prizes. We will do everything possible to help you maintain the perfect balance of not exceeding your budget and underwhelming your participants. 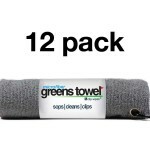 Microfiber Greens Towels offer 7 times the absorbency and 3 times the wicking power of cotton towels. They are stain-resistant, and have anti-microbial characteristics that render them odor-resistant as well. Microfiber dries faster and requires less maintenance than cotton. Golfers like not having that “mildew odor” in the car after their round. 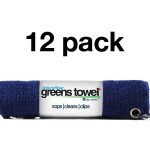 Professionals that clean for a living use Microfiber Towels because their superior performance over obsolete cotton.